Like most surfers I’ve travelled the world over in search of the ultimate wave. 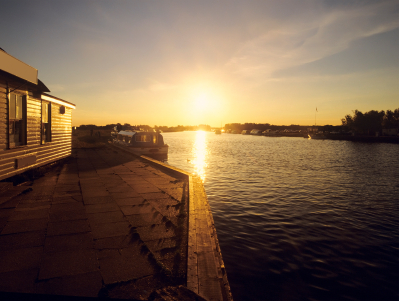 There’s nothing better than packing up your board and a wetsuit and just hitting the road. It’s as much a quest for adventure as a quest for good surf. In my younger years I spent months travelling around Australia in a rusty old van and also hit the west coast of America, sampling some of California’s finest breaks – I’ve got some stories to tell! Now that I’m older, not much has changed. I still have an insatiable desire to get in the water whenever I can; the only thing that’s changed is that I don’t enjoy long plane journeys like I used to. Or at least, I’m not as willing to spend the first 24 hours of my holiday sitting on a plane with screaming kids. For this reason, my family and I have started exploring some of the UK’s finest surf breaks. What we’ve found has been out of this world and when the conditions are right, there really isn’t anywhere else I’d rather be. Everybody knows about surfing at Newquay in Cornwall, the problem is; it’s so overcrowded and busy, even if the surf conditions are great you still can’t ride a wave without having to bail so you don’t run somebody over. We suggest heading to north Devon and hitting Croyde bay. I’m not saying it’s not a popular, untouched surf location but there really aren’t as many crowds to deal with. There are awesome facilities if you want to camp nearby and there are plenty of places to grab a bite to eat and a beer. Aim to be in the water at low tide for fast, hollow waves and don’t miss high tide for a more “longboard friendly” wave. All in all I always get in a few good sessions at Croyde and the beauty is, it’s right here in the UK! I might actually get in trouble for writing about this little jewel of a surf spot. It’s only really known by local surfers but don’t worry, they are a friendly bunch! Three Peaks is the most northern part of a beach which is also home to two other well known surf spots; Llangennith and Rhossili. The beauty of Three Peaks is that the swell is amplified because of an exposed reef which means the surf always works better here. Because Three Peaks is the least accessible surf spot (mainly because it’s a 15 – 20 minute walk from the car park), it tends to be less crowded than the rest of the beach. Bear in mind, Three Peaks is not ideal for beginners. Three Peaks works well at both low and high tide but make sure you’re here if there is a strong north easterly wind. Three Peaks also generates both right and left hand waves so you can practise all of your moves! Little is said about Scotland’s surf scene and it really is a shame. Thurso East is easily one of Europe’s, if not the world’s best surf spots. 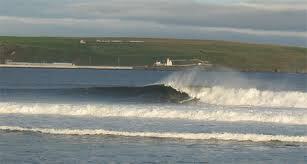 A powerful right hand reef break which works best on a north westerly swell, Thurso waves can exceed 12 feet. 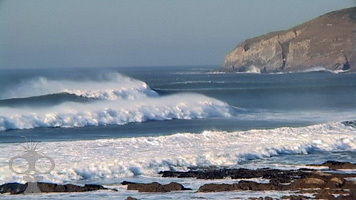 This is another surf spot more suitable for experienced surfers and we suggest treating the locals with respect. Make sure you have plenty of time in the water in order to get as many waves as possible local competition permitting. So next time you are planning your annual surf trip, think closer to home. I’m certain you will be amazed with what we have on our own turf.